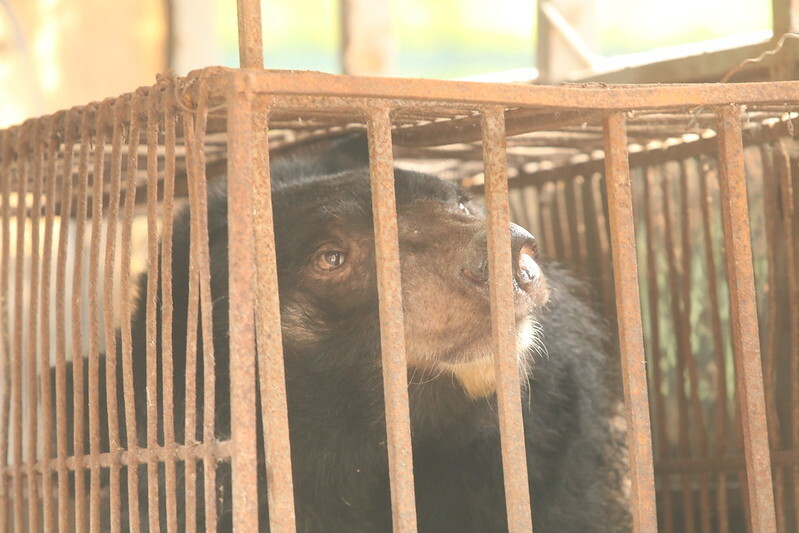 On Monday 8 April, Animals Asia secretly rescued female moon bear Amy from a bear bile farm in Vietnam’s notorious Phung Thuong village. The tiny village within the greater Hanoi metropolitan area currently holds 164 bears – around a quarter of all those held in cruel captivity across the country. 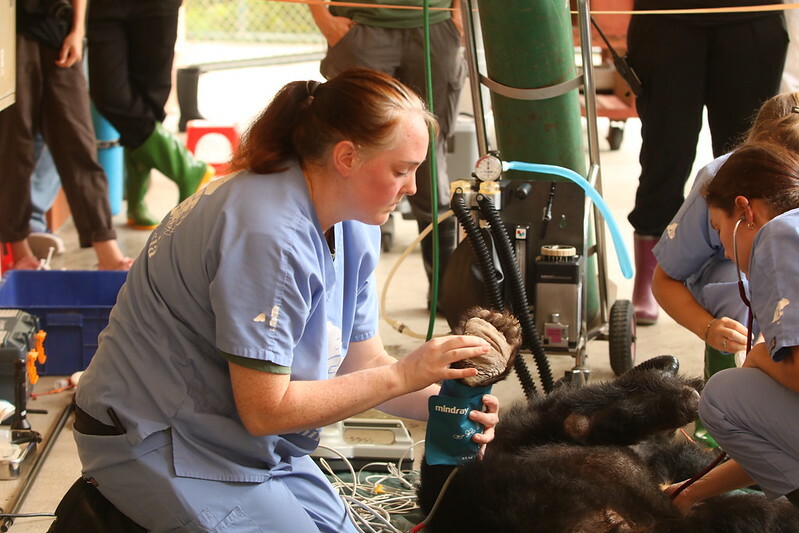 Until now, the bear bile farmers had maintained a united front against offers to rescue emaciated and sick bears, but the rescue of Amy represents the first crack in their resolve which could trigger the rescue of many more bears in desperate need of medical care. “Phung Thuong is a small community with a huge bear bile farming problem. Everyone knows each other here and nobody wanted to be the first to break ranks and give their bears up for rescue. We’ve been working here for years and finally that dedication has paid off. “To reduce the pressure on the local community, we agreed to rescue Amy covertly as this will provide the greatest chance of allowing other farmers to follow suit and give up their bears. The first medical examination of Amy has revealed she has suffered terrible neglect which has left her emaciated, traumatised and in terrible pain. “When Amy arrived, we were immediately worried as she was listless and depressed. This poor bear is severely underweight with much of her muscle mass having wasted away due to years of inactivity from living in a confined space. Amy will immediately begin a rehabilitation process starting with a 45-day quarantine period. After this she will be moved to progressively larger spaces before meeting other bears and eventually, when she is ready, being given access to a large outdoor enclosure. Animals Asia has been working in Phung Thuong village since 2016 to raise awareness of the cruelty behind bear bile farming while also offering free traditional medicine clinics prescribing herbal alternatives to bear bile. In 2017, Animals Asia signed a legally binding agreement with the Vietnam government to completely end bear bile farming and send every bear to sanctuary by 2022. However, the order to begin bear rescues cannot be given until the Prime Minister signs off on a complete plan as to where the bears will be sent. There is currently believed to be up to 800 bears in private hands, while there is only space in existing rescue centres for 160 bears. To this end, Animals Asia is currently drawing up plans to construct at least one – possibly two – new rescue centres to provide safety and sanctuary for every bear currently suffering on bear bile farms in Vietnam. A gift from you today could help support the long-term care and rehabilitation facing Amy. Could you help mend this brave bear?